Is it just me, or was 2014 the official year of the monogram? They were everywhere. On necklaces and rings, on stationery, on phone cases, on sweatshirts, and of course, in weddings! Monograms are preppy, Southern and sweet, and they never really go out of style. I love the idea of putting your monogram on your invitations and then carrying it through your ceremony and reception details! Honestly, I'm not really sure what the point of a monogram is (I mean, who really cares what your initials are?! ), but they sure are cute. 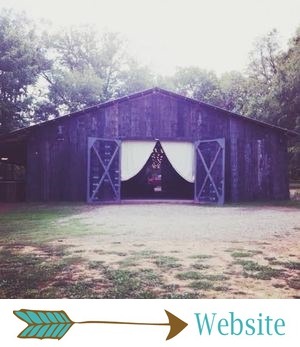 I hope we see a lot of monogrammed goodness at weddings at The Barn this year! What do you think about the monogram trend? Pretty or pointless? See y'all tomorrow!